A friend currently living in the desert recently wrote to say that she’d been stung by a scorpion and that, in her words, “it royally sucked.” No doubt. So, Agave, you and your scorpion-stung foot are the inspiration for this week’s edition of Isiopolis. Since much of Egypt is dry desert, Egypt has plenty of scorpions to go around. It’s true today just as it was in ancient times. In fact, the danger of scorpion sting was ever-present; and because scorpions are smaller and harder to spot, the chance of getting stung by a scorpion outweighed that of snakebite. Whether an Egyptian’s experience of scorpion sting merely royally sucked or took her to the afterlife depended on which scorpion did the stinging as well as the size and health of the victim. For instance, one of the most poisonous scorpions in the world, the Palestine Yellow, is found in Egypt today. Luckily, it is small and cannot deliver enough poison to kill an adult, though that has happened. On the other hand, scorpions were a lethal threat to children, as well as to pets, especially cats. 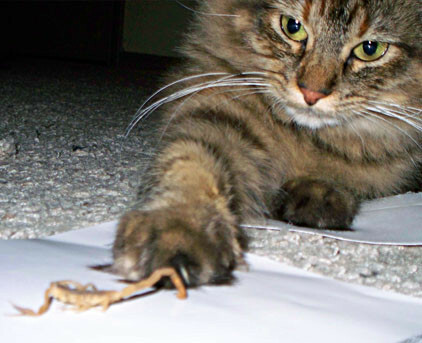 Picture a scorpion with its scuttling movement and raised and waving tail and you’ve pretty much got an irresistible cat toy. At Isis’ sanctuary at Koptos, it was said that during the time when the women ritually lamented with the Goddess, they could walk through a mass of scorpions unharmed. Late legend had it that scorpions would refuse to sting any woman—or any worshipper of Isis, for that matter—out of respect for the Goddess. Scorpions are the faithful companions, protectors, and guides of Isis in one of Her most famous myths. 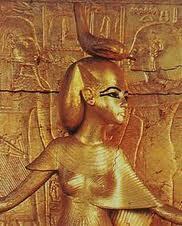 In the tale, Isis is fleeing in an attempt to hide Her newborn child, Horus, from Set. Seven magical scorpions accompany her. In what smacks of a ritual formula, we are told that the scorpions Tefen and Befen walked behind Isis. On Her right was Mestet, on Her left, Mestetef. Before Her walk Petet, Thetet and Maatet. Upon reaching a city at the edge of the papyrus swamps, Isis found She was weary and approached the home of the chief woman of the district for shelter. But seeing the scorpions, the woman was afraid and angry that anyone would dare approach her home with these dangerous creatures. She refused the Goddess. The scorpions were angry at the rejection and vowed revenge. While Isis found refuge with a poor woman, the scorpions gathered all their poison together and placed it in the tail of Tefen. Tefen entered the home of the chief woman and stung her young son who fell instantly from the terrible poison. But Isis took pity on the child and cured him. At this, the chief woman was ashamed of her behavior and filled the home of the poor woman who had sheltered the Goddess with beautiful gifts from her very own home. 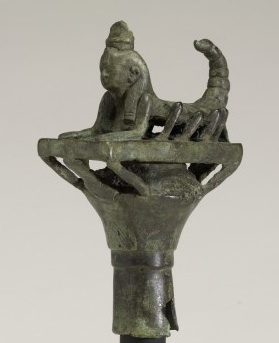 The association of Isis with the scorpion reaches far beyond ancient Egypt. Athanasius Kircher, a 17th century Jesuit scholar and philosopher, called the constellation of Scorpio “the Station of Isis” and identified the brightest star in Scorpio, the red star Antares, with the Goddess. According to a turn-of-the-century star guide by Richard Hinkley Allen, Antares was originally associated with the Scorpion Goddess, Serket. Oh, and there’s an Isis comic book in which Isis teams up with The Black Scorpion, another female superhero, so the two Goddesses continue to be linked even in modern mythology. I love that my experience of ‘royal suckage’ served as a bit of inspiration. 🙂 It was awful, but fascinating at the same time….amazing how something so tiny can cause such an immediate, long lasting and painful experience…..and how bizarre the physical reactions were! I found your blog after doing some searching on your name. I’ve been having some interesting experiences of being called to Isis for the past several months and a friend let me check out her copy of Isis Magic. I’m trying to find my own, but it’s looking like I’ll need to wait until that second edition comes out. Those used prices on Amazon are wicked! Anyhoo, the first place I found when searching on your name was the Hermetic Fellowship website (also full of great resources) and I noticed it was located in my local area. I saw some dates for events, which I’m quite interested in attending, but didn’t find anyway to contact someone if I wanted to attend one of those events (or find out more about the Fellowship). If you could share my info with anyone who might be able to help me out, that would be great! Thank you for this post. BTW, it’s Athanasius K.
You are so right! Thanks for the correction! Reblogged this on Stargate Antares .